The Lunar New Year is almost here! This year will be the Year of the Pig. For the grand celebration, I've decided we should have a snout contest (sounds safer than fireworks to me). 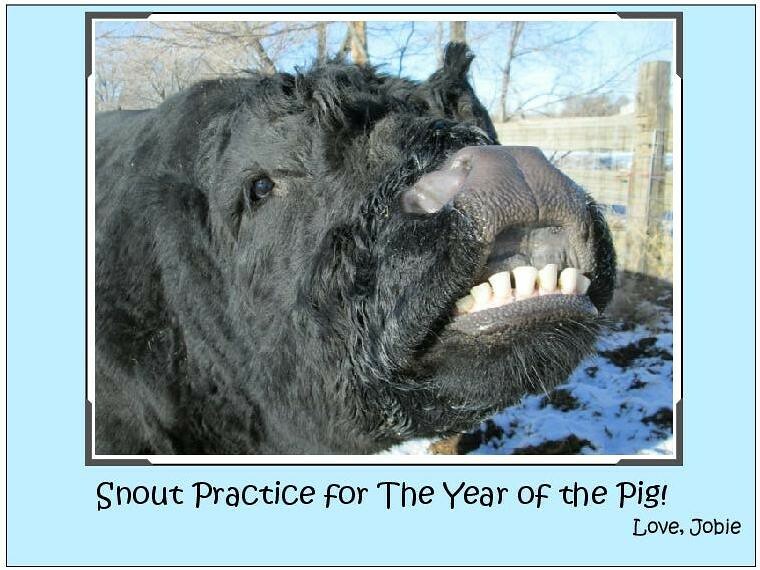 Please practice with me so we can have a phenomenal display of snouts! Happy Lunar New Year! Oink! Oink! Hi to Jobie, from Charlie the Mini Pig! !